The sireline of Ilderim OA came to Poland in 1900 when he was imported to Slawuta. He was a chestnut foaled about 1896 and purchased in Constantiople. The only son to continue the line was Bakszysz 1901 out of Parada. 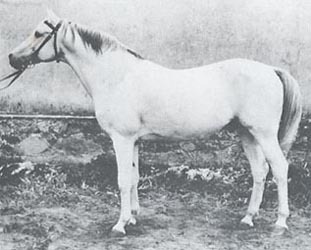 Beside Bakszysz, Ilderim OA sired the mare Sultanka 1912, the dam of Ibn Mahomet 1925. 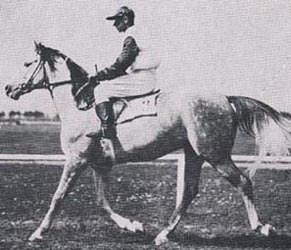 Bakszysz sired five sons used at stud but the only one to continue the sireline was Fetysz 1924 2/11(7-2-1) . The others were Fakir 1924, Flisak 1924, Floks 1924 2/10(5-4-1) and Locarno 1930. Floks left one mare, Elsissa 1930. 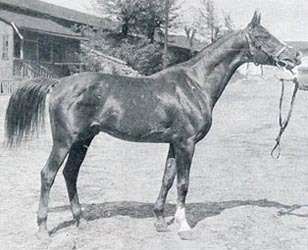 Flisak was a successful racehorse with a record of 2/11(9-1-1)D. This is not really a surprise as he is a maternal halfbrother to Ikwa, one of the best racing arabians ever. He sired some good racers as well, especially the full brothers Celedir and Bakhtiari. The only offspring from him to breed on were the mares Mokka 2/11(1-1-1) and Cemira 2/19(6-5-4). Most of his get were lost in WWII. Perhaps the most important offspring of Fetysz was not a stallion but a mare. Through his daughter Makata his blood is influential all over the world as she was the dam of Witraz. 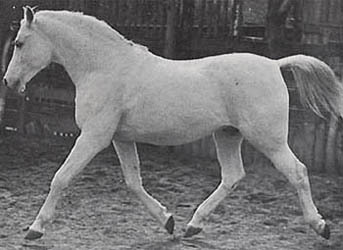 Fetysz was a beautiful horse with less than perfect conformation according to prof. Pruski. 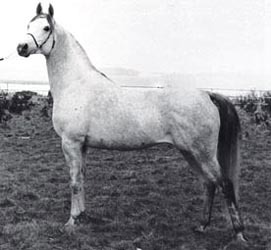 He can not have been that faulty as he was chosen to stand as chief sire in Trakehnen (they would not have used a horse with extremely poor comformation). 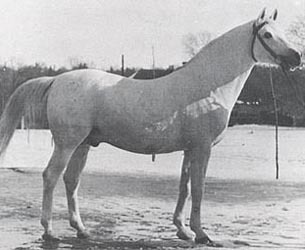 In Poland he sired the stallions Miecznik 1931 and Orjent 1933. Orjent did not leave any significant offspring. Fetysz also sired *Sulejman 1934 exp US and Adonah 1936 exp DDR (they were full brothers out of Fasila). They were both popular in their respective country and *Sulejman distinguished himself as the sire of several performance horses. 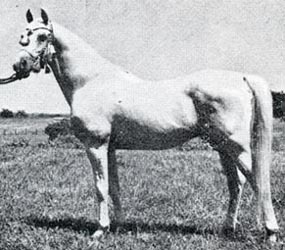 *Sulejman and Adonah were some of the few horses from Ujazd (the stud of baron Bicker) to survive the war. 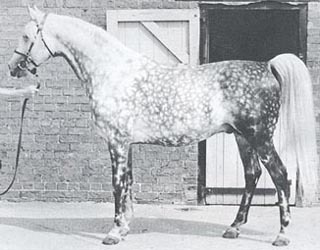 Their dam was from Crabbet as were others of baron Bicker's horses. In 1936 Fetysz was sold to Trakehnen. Many good trakehnen horses descend from him, he was the sire of Famulus out of Faschingsnacht and maternal grandsire of Pelargonie by Lowelas ox and Perea by Hirtensang. Fetysz met a tragic end in Trakehenen as he was one of the horses shot by advancing russian troops in 1944. 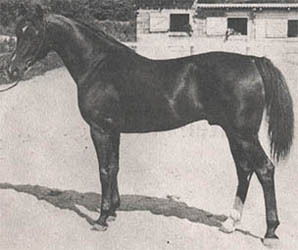 Miecznik had not inherited any of the strengths of his parents (his dam was the legendary Koalicja) and, according to I. Jaworski: "The overall impression of this horse was marred by his poor conformation, although he did not lack beauty. He had a faulty croup poorly coupled with the back and cowhocks. Lacking in dryness he appeared feminine". 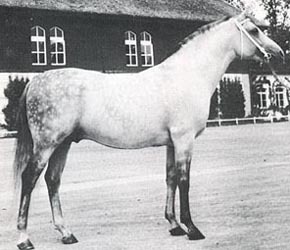 Nevertheless, he was the chief progenitor of this line and sired the important stallions Doktryner 1950 and Aquinor 1951. 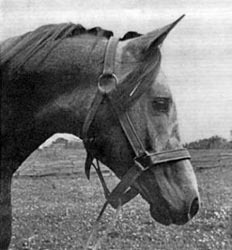 His son Marabut 1942 was used for one season only (apparently no one remembers this horse nor are there any pictures of him!). Marabut still managed to sire the valuable mares Gastronomia 1946 and Galka 1946 exp DDR. Doktryner was perhaps not the most beautiful horse ever but according to A. Krzysztalowicz had good movements. He stood at Michalow and was used mainly to perserve the Ilderim OA sireline. 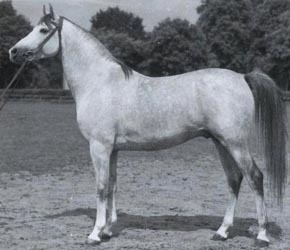 There he sired his only son to be used in Poland, Ferrum 1956, as well as the stallions Gerwazy exp UK, Arbor exp France, *Rezonans exp US, *Miraz and *Muzulmanin exp US (US Nat'l Ch English Pleasure). 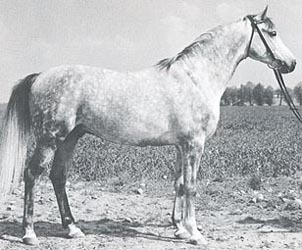 He was sold to Switzerland in 1957 and used in warmblood breeding. He was then bought back in 1964 and stood at Janow Podlaski. He didn't sire any sons there but several valuable mares including Eufonia and *Wieza. Ferrum did not leave any son. The best son of Doktryner was Gerwazy. He was a prominent performance horse with a racing record of 2/20(5-1-3) and then continued his career in UK in several ridden classes. 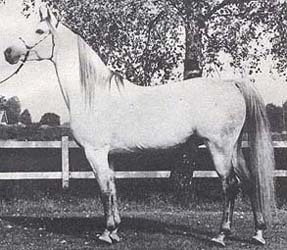 His contribution to the breed has been enormous, especially through Lalage (dam of *Aladdinn) and *Karadjorde (champion sire at Rogers Arabians). Gerwazy's son Najiri was imported to Sweden but died shortly thereafter. 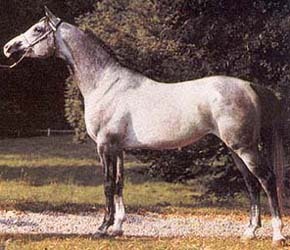 Arbor left some valuable offspring, among them the stallion Ilbor 1980, leased to Sweden in 1987. Ilbor was to be exported to USA but died tragically in a fire at the airport. The son of Miecznik to continue the Ilderim OA line was Aquinor. A horse of great beauty, he resembled his grandsire Amurath Sahib more than his sire. He had a decent track record, 2/11(1-0-6), and several of his descendants have been excellent racehorses. His maternal granddam Elsissa contributed another line to Ilderim OA as she was sired by the Bakszysz son Floks. He sired *Tryptyk, *Eleuzis and Elf (full brothers) used in Poland and *Exelsjor exp Sweden, Mors exp DDR, *Elkin (full brother to *Eleuzis and Elf) and *Grawer (US National Top Ten Park) used abroad. The stallion to have the most impact in Poland of the Aquinor sons were *Eleuzis 3/27(5-5-9). 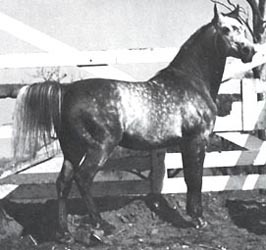 He was a beautiful horse that was exported too soon as his brother Elf died early and *Elkin was never used in Poland. Even though he was at stud for a limited time he sired two chief stallions, Engano and Partner. Both were used in Poland and Sweden, leaving valuable offspring in both countries. Engano died before his exportation to USA and his foal crop in Sweden was his last. The *Eleuzis son *Hal Gazal was exported in utero to US and has been a successful sire. Engano stood three seasons at Janow before he was sold to Crown Point in USA at the 1977 Janow sale. Blommeröd in Sweden leased him from Crown Point in 1978 and later the same year he died from colic. He was European Champion stallion at Salon du Cheval. In Poland he sired the stallions *Algierczyk and Etnograf imp Sweden. Neither one of those left any sons in Poland. Etnograf left one son in Sweden, Elton. In Sweden Engano left three sons of high quality, Rousseau, Primo and Bajano. An in utero export to Norway, Algano, was bought by Kenny Rogers (*Alganoo in US). Primo was leased to Janow Podlaski for the 1998 and 1999 seasons. Both Rousseau and Primo had additional lines to Ilderim OA since their grandfather resp greatgrandfather was *Exelsjor. 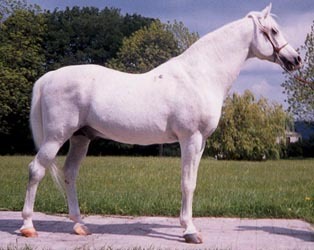 Partner was a beautiful stallion who was at stud until his death in 1995. He was leased to Sweden during the 1982 and 1983 sesons. For polish breeding he sired the stallions *Eran, *Fantastyk, *Penitent and Pesal. His polish-bred sons *Gokart and Buskaszi was imported to Sweden. 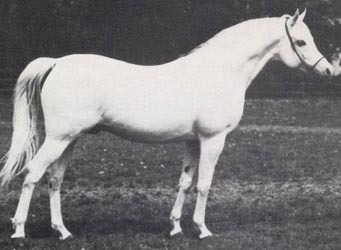 *Gokart was an enormous success as a sire and left many good offspring in Sweden. He was exported to USA and from there to Brazil. 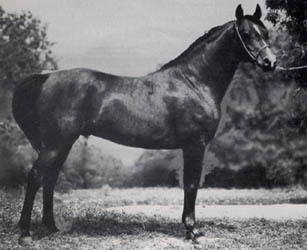 He was Swedish Nat'l ch stallion and Pacific Slope Park champion. The swedish-bred sons of Partner were very good as well. Wilczur (out of Wilcza Jagoda) won the polish Derby in 1983 and Rumak (out of Rucasja) was World Champion in Paris. His other sons were Bolsjoj, Wodka, Czap and Cerograt. Pentari was exported to Italy and used at stud there. The premier son of Partner was *Penitent who was exported to Dunromin Arabians. Before he was exported he sired the stallion Eldon 1985. Eldon is the current chief progenitor of the Ilderim OA line in Poland. 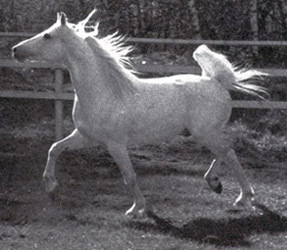 He is Polish, European and British Ch stallion (while on lease to Silverdale Arabians 1993-1994). He has sired several sons that have been used for breeding. Another son of Partner has also been successful as a sire, Pesal 1991. He is the sire of Girlan-Bey, Polish Junior Ch stallion and winner of the ECAHO Cup for the best colt of 2004. He one of the most successful horses bred by a private polish breeder and is now owned by the Kristoffersen family of Sweden. Pesal is now owned by the Klarenbeek Stud in Holland. Elf was a delicate horse that was unplaced in his only race. Due to his poor health he died at the age of nine. 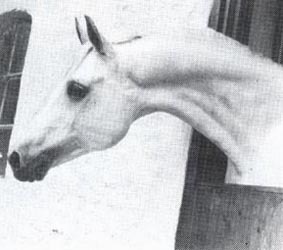 He sired the stallions *Czeremosz 1970, Eufrat 1970 and *Eskimos 1972. *Czeremosz 3/32(1-10-11) was not used much in Poland but left some fine mares at Kurozweki. He was 1981 US Nat'l Reserve Ch stallion. 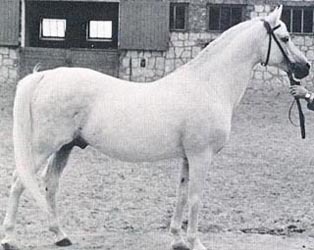 Eufrat 2/14(2-0-3) was a beautiful horse (1980 Polish Reserve Ch stallion) who died prematurely at the age of 11 in a heart attack while covering a mare. 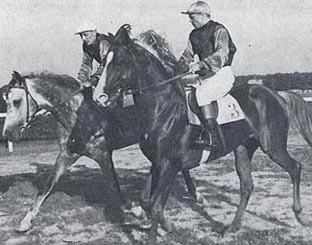 He left no sons but beautiful mares, among them Erotyka (dam of Eldon) and Dewizka. *Eskimos 3/20(2-5-4) did not leave any greater mark before his exportation. *Tryptyk 1965 was used at stud in Poland before his exportation to Sweden in 1978 (he was Swedish National Champion stallion). His dam *Tryncza was known to pass on racing ability and he had a good track record, 2/13(3-5-1). He was the second Aquinor son to stand in Sweden, *Exelsjor was the first. 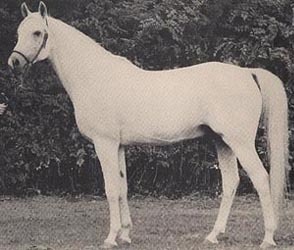 In Poland he sired the stallion Parys, an excellent racehorse who was later exported to Sweden. Parys was a show champion as well, racking up the titles of Polish National champion, Swedish National champion and Reserve World champion. *Tryptyk also sired the Derbywinners Sarenka 1974 (she placed second in the Oaks) and Mahon 1976. 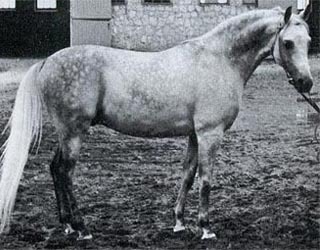 Before leaving Poland Parys sired the stallion *Origan, a brave racehorse that won four stakes including the Animex Stakes (now called the Europa Cup). *Elkin was exported to US without leaving any offspring in Poland. 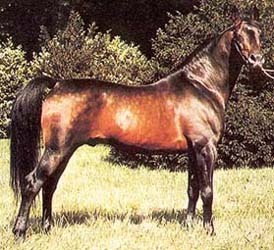 He was a successful sire and US National Champion stallion. *Grawer was one of the few Aquinor sons used outside Poland. He was imported to US by Locust Arabians in 1973. A good performance horse, he is a US Top Ten in park and has competed in endurance, finishing 5th in a 100 mile ride just after his importation. Mors was exported to Germany and stod at Zoo Rostock. He sired some stallions that have been used at stud. The absolutely best Aquinor son to be used outside Poland was *Exelsjor. He is the only horse the Poles regret selling and his new owner Erik Erlandsson said that he loved him almost as much as his wife! *Exelsjor complimented the predominantly polish mares in Sweden well (he sired only one get in Sweden from a non-polish mare, the extraordinary *Ayscha). He left behind a host of excellent daughters like *Edjora, Exessa, *Salexja, *Aleksja and Ex Diara. His sons have unfortunately had difficulties siring sons to continue the line but several of them have left valuable daughters. *Exelsjor was exported to US early and wasn't given a proper chance there. He did sire some excellent offspring, for example the stallion Litigator and the mare Jortaala (dam of Exceladdinn). The best *Exelsjor sons used in Sweden were Alrex, *Mimik and *Grojor. 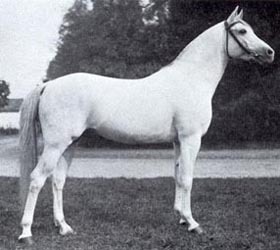 Alrex was exported to France where he was Reserve World Champion stallion at Salon du Cheval as well as French and European Champion stallion. 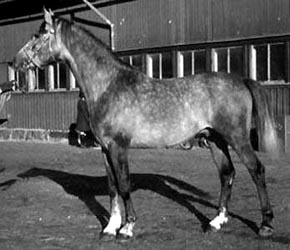 He was also Swedish National Champion stallion. *Grojor left one son of note, Ciemny 1981. Ciemny left one son, Azir 1986. 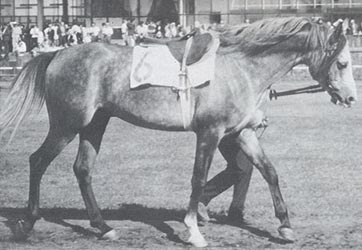 Diamant 1968 was used sparingly at stud and was leased to the UK. He was also used to get angloarabians. 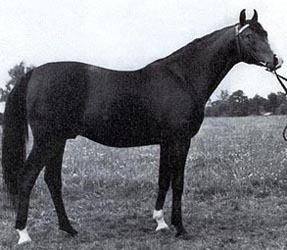 *Ibn Shamus 1970 was not licensed to stand at public stud but was used on his owner's mares. In 1982 he was exported to US. 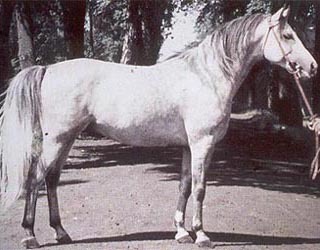 Mexi 1969 was sold to Denmark where he has sired many good horses. He was also a halter champion. Like his brother Milex he was later exported to Australia. Milex 1968 was sold to Australia. Mirex 1968 was used sparingly at stud in Sweden. *Msciciel 1970 was exported in utero to US where he has left some good offspring. Negiw 1977 was born in US but later imported to Denmark by VT Arabians. One of his sons, Just DK, has been imported to Sweden. Cervin 1977 is one of the few pure polish get of *Exelsjor in USA. He hasn't been used at stud much. This sireline is know for great beauty without a compromize regarding substance. Many are also noted for having an excellent temper with a willingness to please. All horses from this line may not be stars of the track but when combined with mares of racing bloodlines you can get something spectacular, both beauty and performance.